Welcome to the Evolution range from Overclockers UK! 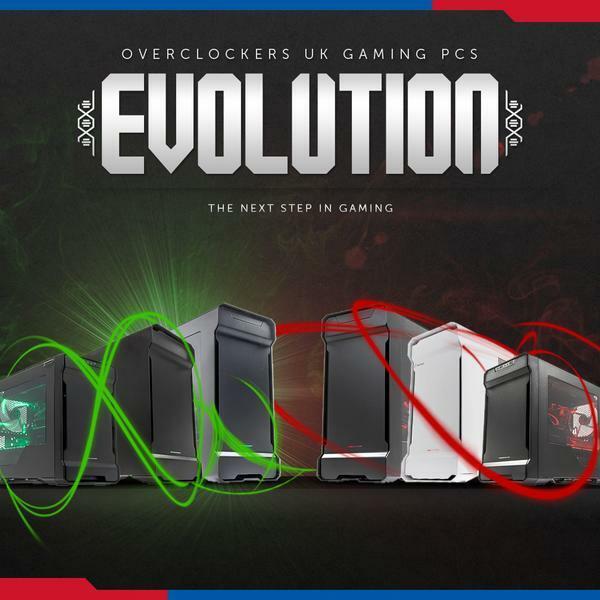 22/06/2015, Newcastle-Under-Lyme - The Overclockers UK gaming PC system range continues to evolve with the launch of the Evolution range, following to Overclockers UK Atomic and Blade ranges launched recently. The Evolution range consists of two distinct lineups - The Wrath, based on AMD graphics; and the Envy, based on NVIDIA graphics - giving customers the choice according to their preference. There are six models in the range: Envy and Wrath Mini, The Envy, The Wrath, The Envy Duo and The Wrath Duo. Systems start from £999.95, are configurable and built to order. Wrath systems within the Evolution range feature a red colour theme, whilst Envy systems each have a green theme; both themes are expressed through LEDs and other carefully selected components. Customers who want a PC configured and themed to how they want it can however specify alternative colours and other options such as secondary hard drives or SSDs. Each model in the range is based around a Phanteks Evolve chassis and a Gold rated SuperFlower PSU; other high-quality components are selected throughout. Thanks to this attention to quality the Evolution range offers overclocked speeds of up to 4.5 GHz on the CPU (Intel i7 4790k), considerably more than stock. 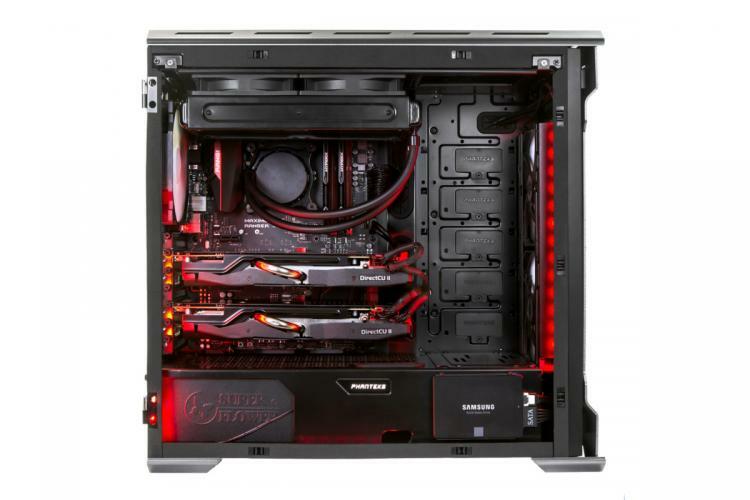 The range of systems are suitable for all gamers but aimed primarily at the more experienced, more technically demanding enthusiast and professional. 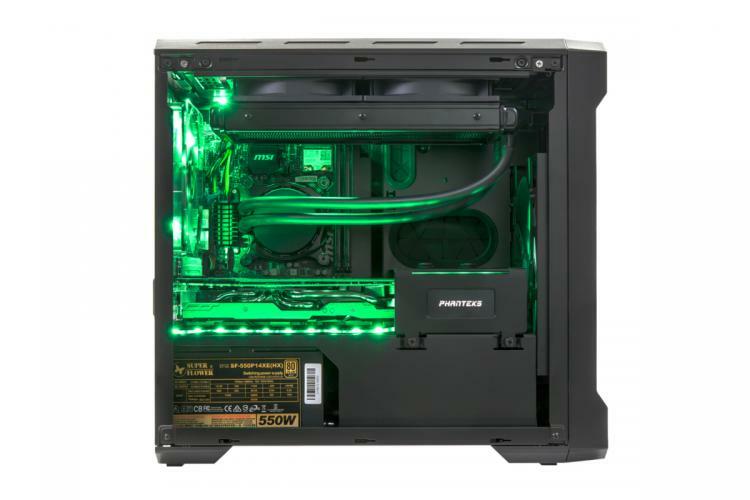 Each PC is assembled, configured, overclocked and tested by Overclockers UK’s experienced and professional system builders, supporting it with a standard 3 year warranty and labour-free upgrade service for total peace of mind. For more information visit Overclocker's Evolution System product page and configure your own.